EN:The bigest collection with car mp3 fm transmitters in Cyprus!. Listening to good music is one of the pleasures of driving. 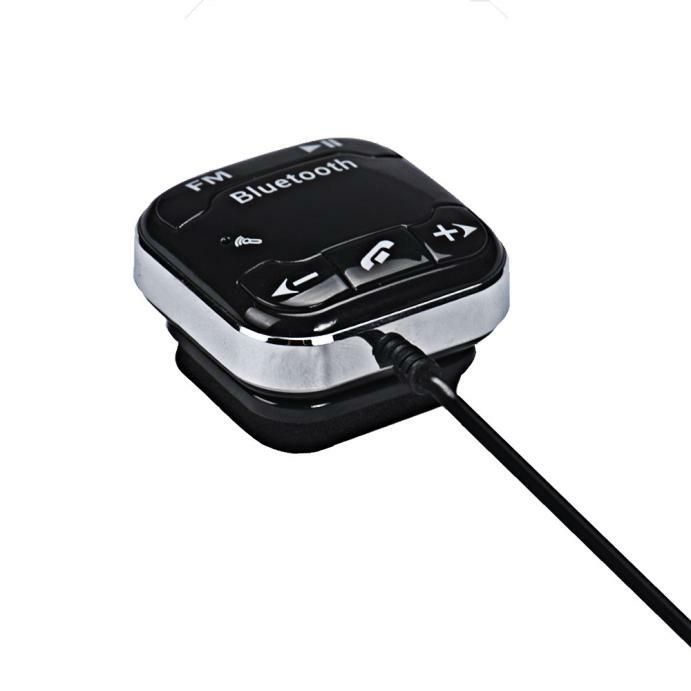 A wireless FM transmitter is a handy in-car solution for motorists that want to play tracks from an iPod, smartphone, usb flash drive, sd card. 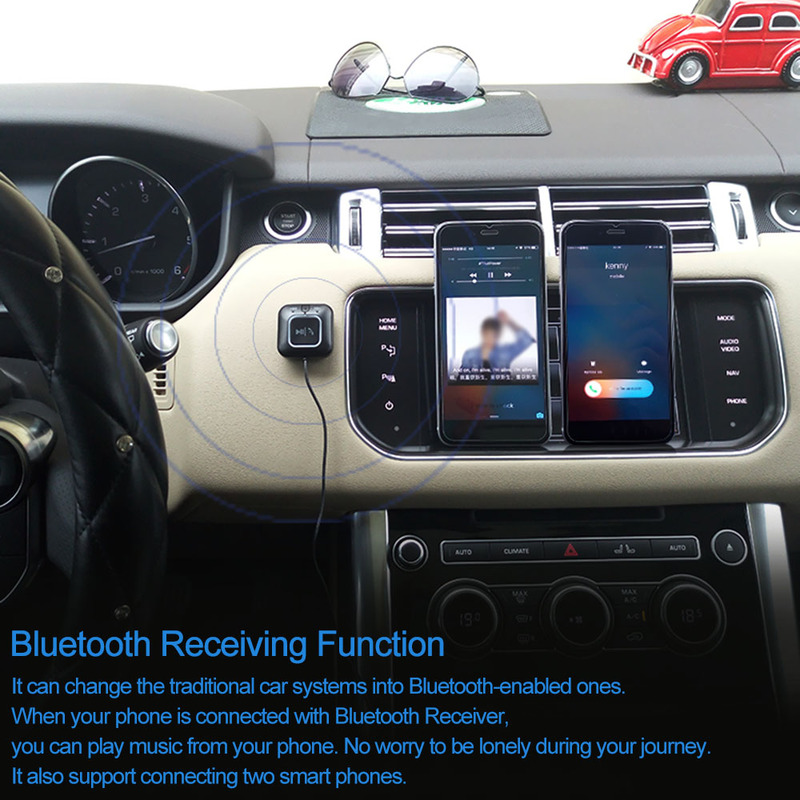 Also some models have bluetooth handsfree connection for talking while driving. Drivers simply plug the transmitter into a portable audio source and they can hear the sound broadcast via the car speakers. Then they can install the device and enjoy their favorite songs as they drive. GR:Η μεγαλύτερη γκάμα σε mp3 fm transmitters στην Κύπρο!. Ακούγοντας μουσική είναι μια από τις μεγαλύτερες απολαύσεις στην οδήγηση! Ένα mp3 fm transmitter σας επιτρέπει να ακούτε τα αγαπημένα σας κομμάτια από ipod, κινητό, usb, ή κάρτα μνήμης. επίσης μερικά μοντέλα σας δίνουν την δυνατότητα και για ομιλία handsfree μέσω σύνδεσης bluetooth. Απλά εγκαταστήστε το Car mp3 fm transmitter στην αναπτήρα του αυτοκινήτου σας και αυτόματα θα μεταδίδεται ή μουσική από τα ηχεία του αυτοκινήτου σας καθώς οδηγείτε. 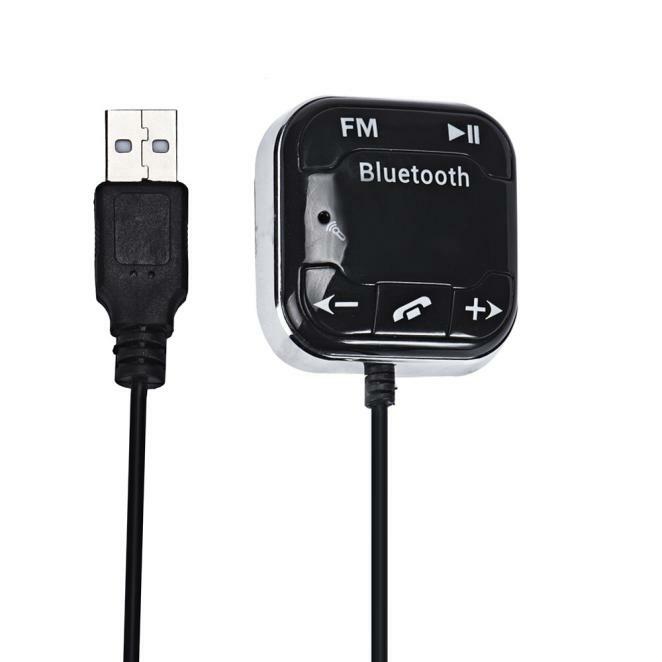 This device is a bluetooth MP3 Player developed for in car use, it is equipped with professional high-performance bluetooth module and MP3 decoder chip. 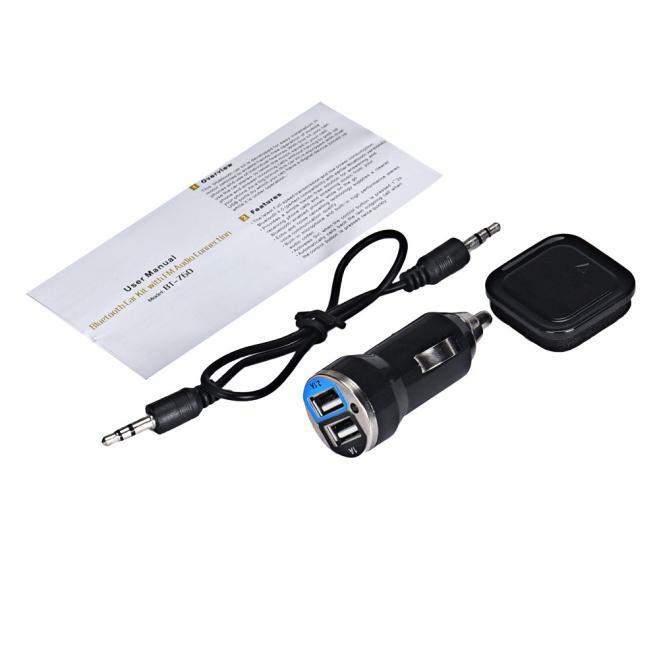 - Plug the FM transmitter into your car cigarette lighter socket for power and please find search this device . 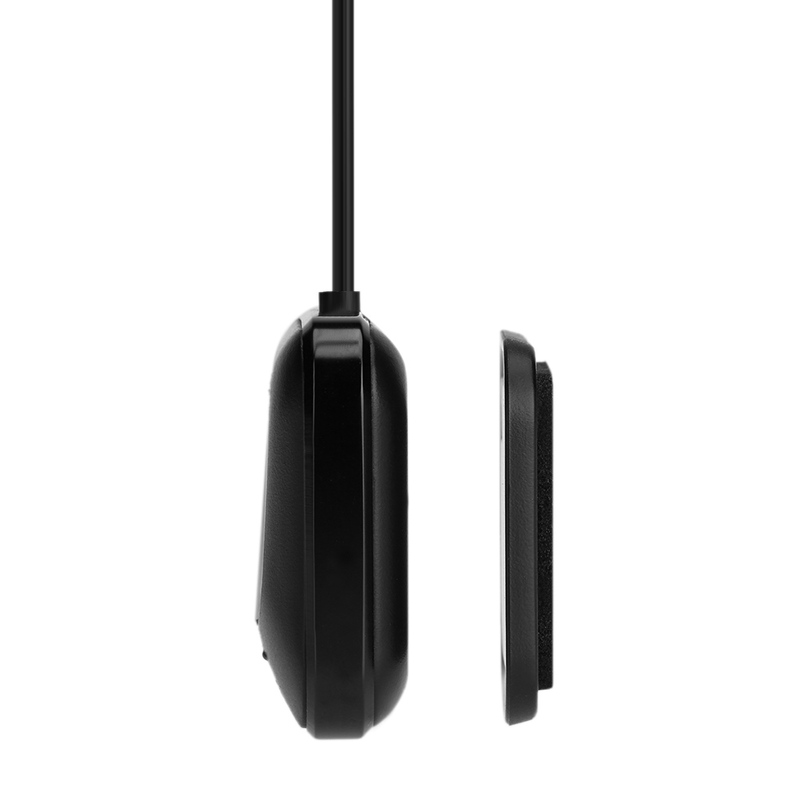 - Find an empty station and keep the FM transmitter and car FM radio at the same frequency. As soon as plug this device into car cigarette socket after the auto starts, LCD will display car battery voltage. The volume can be adjusted by cell phone volume, car stereo's volume, or long press the volume button of earphone. When use the device first time, your cell phone needs to be paired and connected with the device. the device enters pairing mode, the red and blue lights on the side of earphone flash alternately. 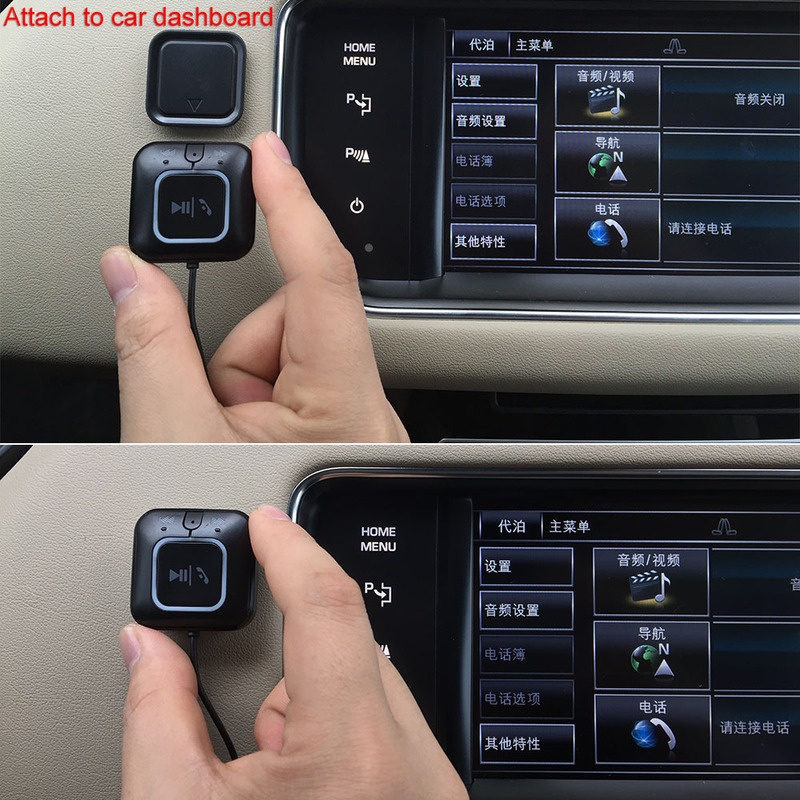 Turn on Bluetooth function of cell phone, search new devices, the cell phone will search to this device "BT Car Kit". 2. Select the "BT Car Kit" and connect it, some cell phones need enter password "0000". 3. Voice prompts "Connected" to indicate the cell phone is connected successfully. At this time the red light is off, blue light will flash once in a few seconds. 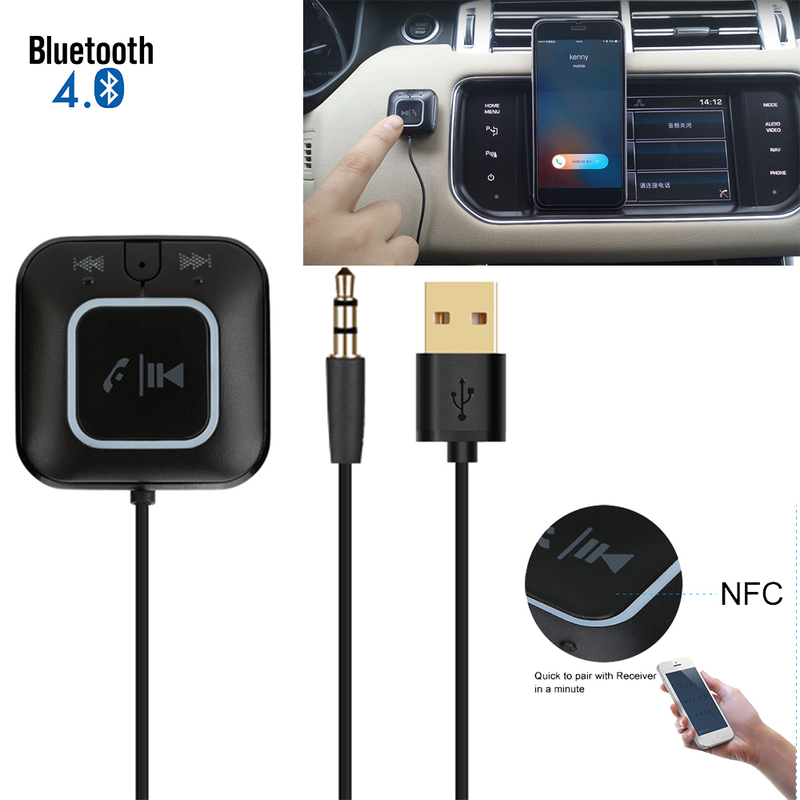 After successful connection, you can stream A2DP music from cell phones, audio of GPS or other devices to car stereo audio.
? Push up the button on the side of earphone to play previous song.
? Make a call: dial phone number on your cell phone directly, the voice is sent out from car stereo audio. During using this device, if you do not want other person to hear your conversation, the earphone can be pulled out directly to protect your privacy. The earphone can also be used alone on other occasions. 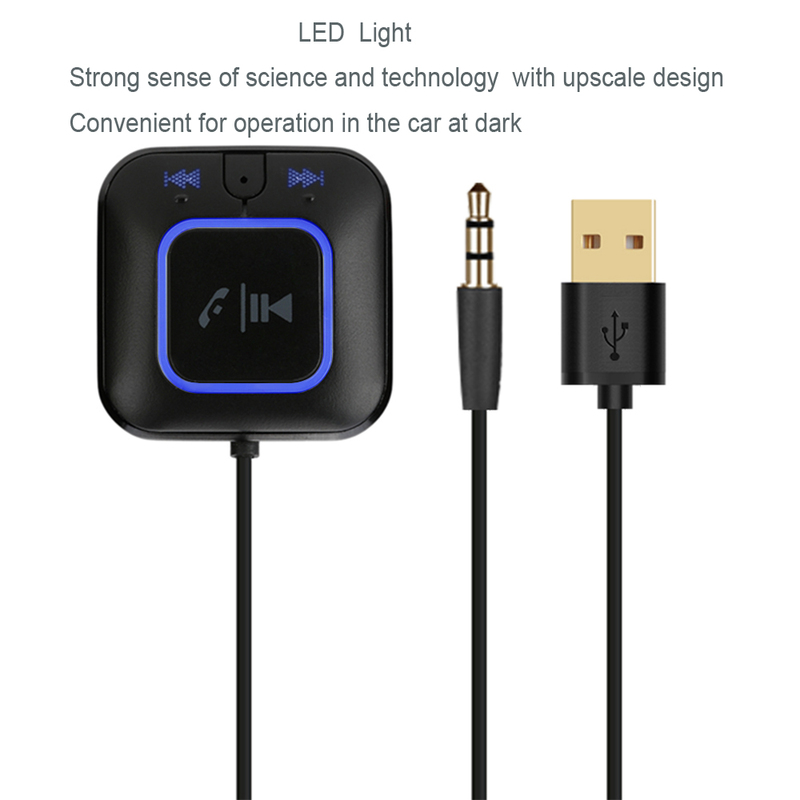 This device can input audio signal of external devices such as cell phones /iPad/PMP/game consoles via AUX IN jack, then plays them through the car stereo audio. Use a stereo audio cable with plug diameter 3.5-3.5MM to connect external audio devices and AUX IN jack. 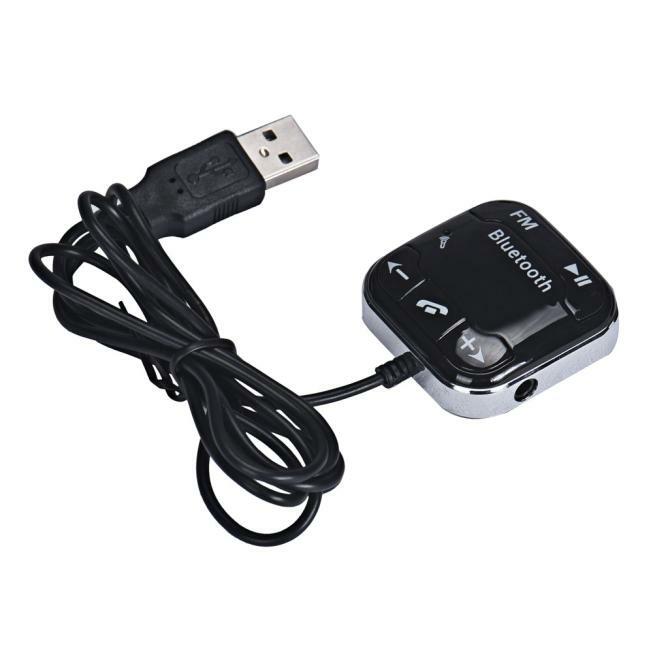 The device provides dual USB ports with output DC5V/2.1A to charge cell phones or other electronic devices. When charging, the device can detect charging state to external devices and display charging current automatically. 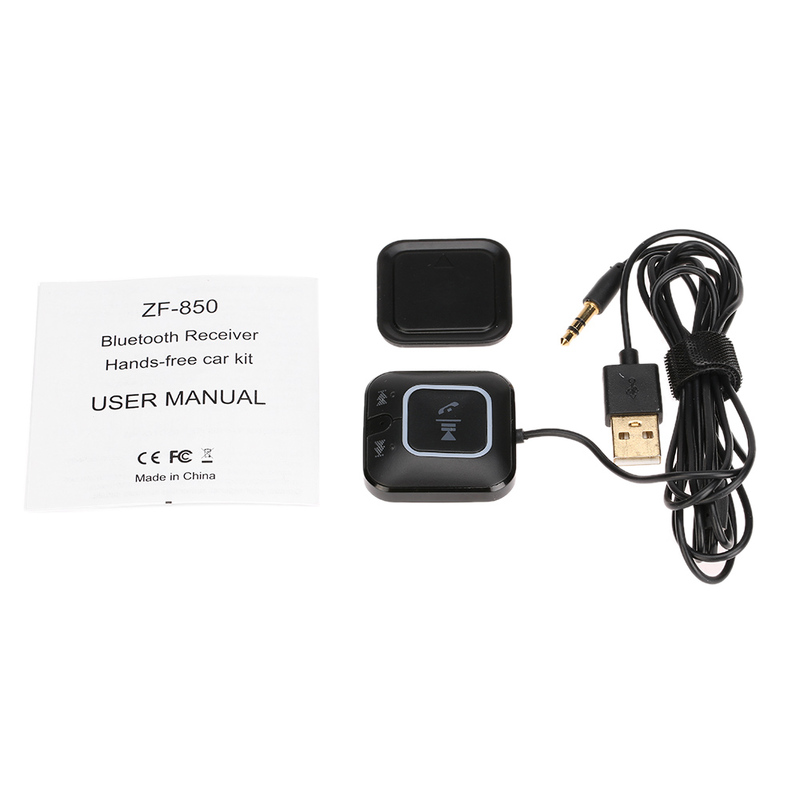 ZF-850 Bluetooth Receiver is specially designed for car stereo systems and home audio system which can change the traditional car systems and home audio system into Bluetooth-enabled ones. 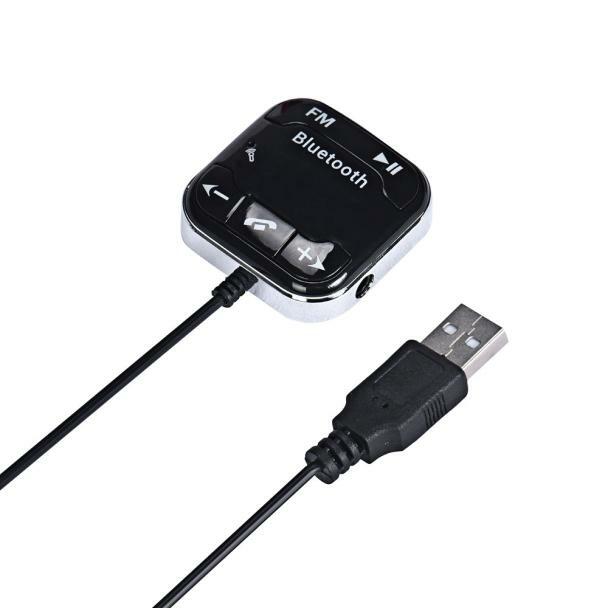 It's compatible with Bluetooth-enabled Smart Phones, laptop, tablet, etc. 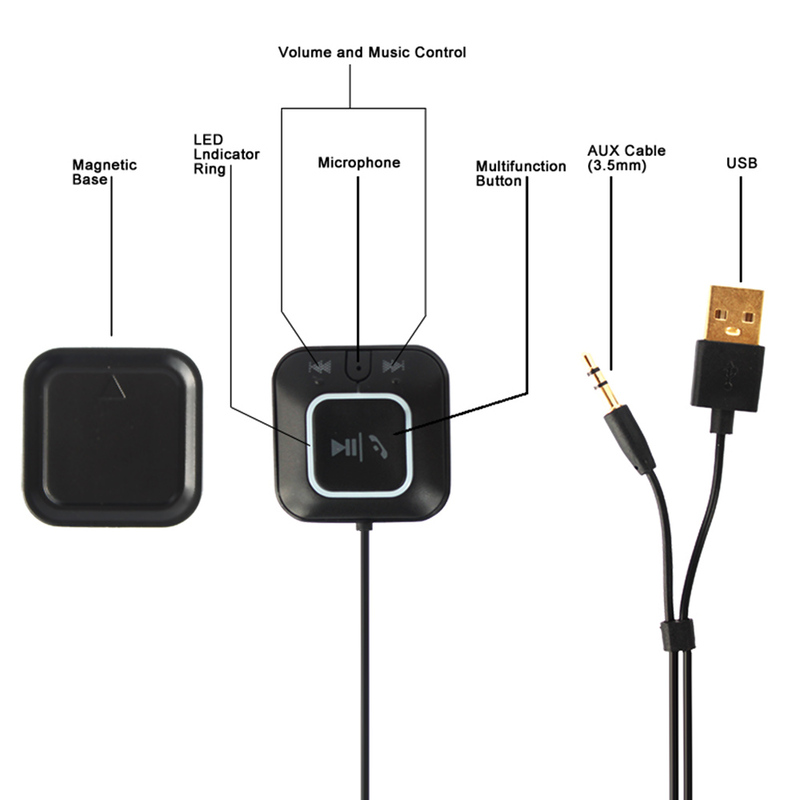 With this product, you can greatly enjoy music from your phone, laptop, tablet wireless. 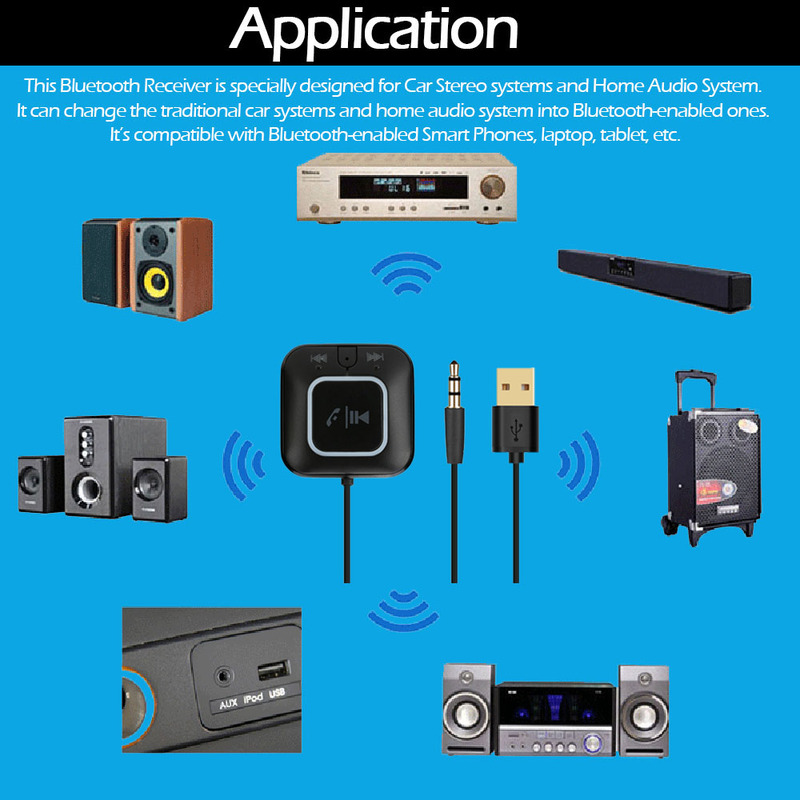 It can change the traditional car systems and home audio system into Bluetooth-enabled ones. After the Bluetooth Receiver is connected with speaker with 3.5mm audio cable, you can enjoy music from your phone wireless. It can also support connecting two smart phones at the same time. 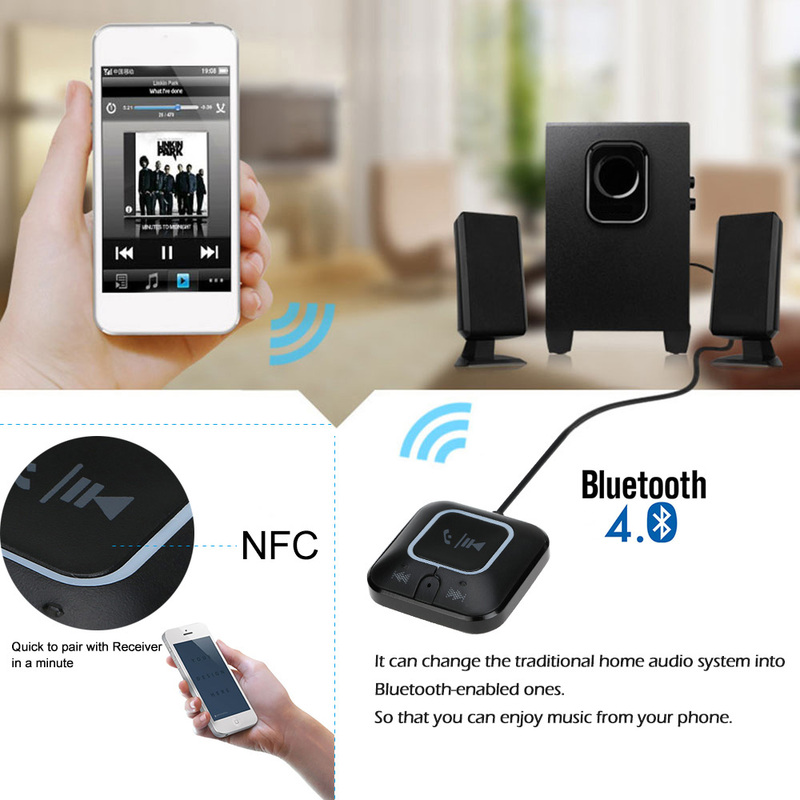 It's compatible with Bluetooth-enabled Smart Phones, laptop, tablet and almost all Bluetooth-enable Audio Devices. Standard 3.5mm audio socket and cable enable to connect to most modern audio device. 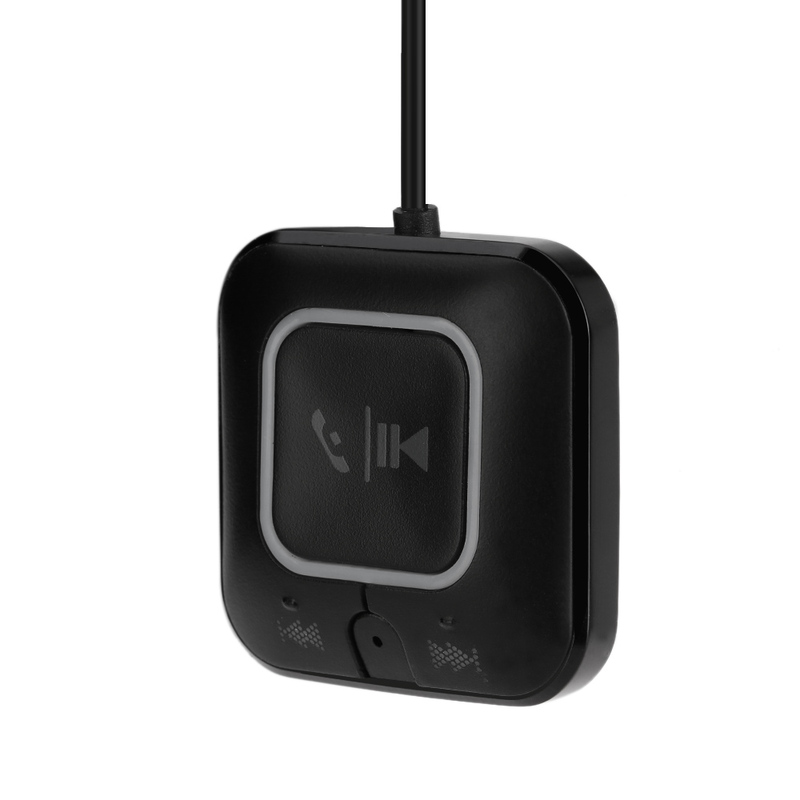 One button to pick up call without ears. 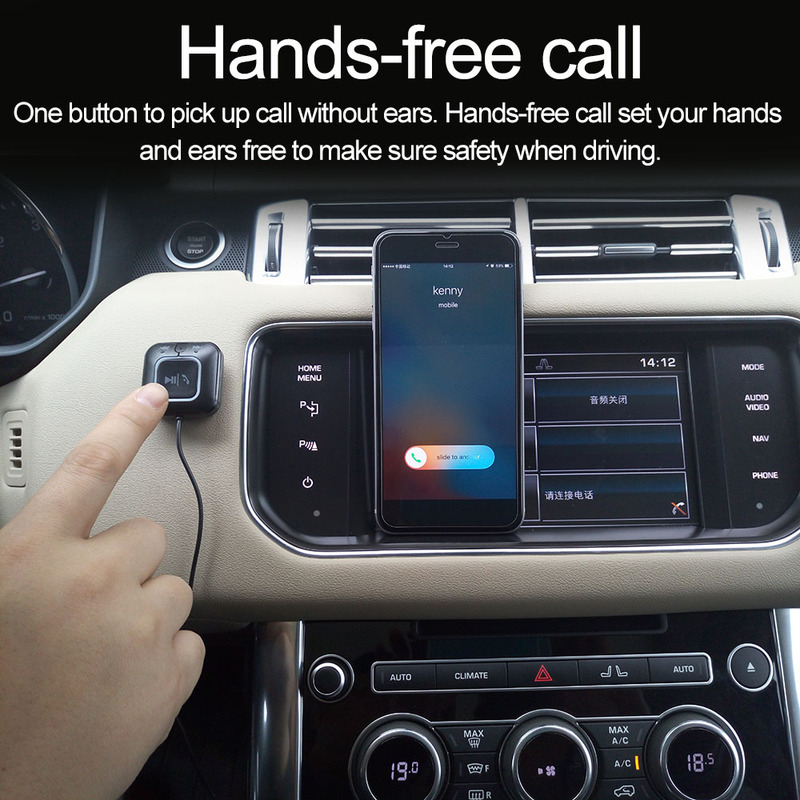 Hands-free call set your hands and ears free to make sure safety when driving. With NFC function, it's quick to pair with receiver in a minute when you put phone close to receiver. Quick and convenient. Easy to pair with Bluetooth speaker with simple button, you can enjoy music from the phone in a minute. Simple for children or the older. No need to install any apps. * Transmits on all FM frequencies (88.1MHz-107.9MHz) - RDS (Radio Data System) - Caller ID and song information on your compatible radio display. * includeddisplayed on your car stereo. 1 x Remote Control Unit. NOTE: Please press "File" button when you use the remote for MENU. NOTE: You can connect your iPhone through 3.5mm jack cable, you can't connect iPhone through Bluetooth interface.